Cinematic Autopsy: "Halloween 35th Anniversary Blu-ray Details and Release Date!" 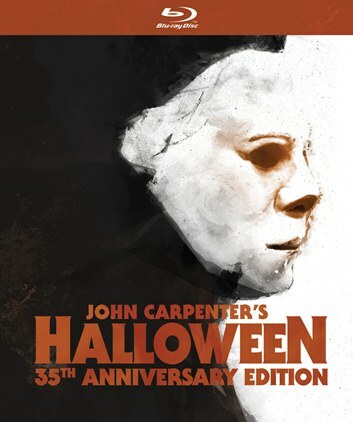 "Halloween 35th Anniversary Blu-ray Details and Release Date!" Michael Myers is back...and he’s never looked better! In 1978, Compass International Pictures released an indie horror film by an up and coming director and a largely unknown cast. Presented by the late Moustapha Akkad, the film cost $325,000 and ended up not only becoming one of the most successful independent motion pictures of its time, but single handedly created the genre of the modern horror film along with the first iconic (via a painted-over William Shatner mask) cinematic slasher! 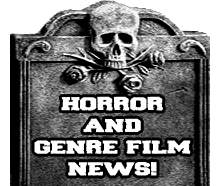 Its global success spawned seven sequels, a reboot directed by Rob Zombie and a sequel-to-the-reboot, as well as created generations of grateful fans. The director’s name is John Carpenter and the film was Halloween. This year marks the 35th Anniversary of the timeless thriller and to celebrate, Anchor Bay Entertainment is bringing back the terrifying original as it’s never been seen or heard before! Anchor Bay Entertainment and Trancas International proudly announce the September 24th release of the 35th Anniversary Blu-ray™ release of Halloween. For this very special release, Anchor Bay and Trancas went back to the vaults to present this legendary terror classic as never before, including creating an all-new HD transfer personally supervised by the film’s original cinematographer, Academy-Award® nominee Dean Cundey (Who Framed Roger Rabbit, Apollo 13, the Back to the Future trilogy), a new 7.1 audio mix (as well as the original mono audio), a brand-new feature length audio commentary by writer/director John Carpenter and star Jamie Lee Curtis, an all-new bonus feature with Ms. Curtis, as well as selected legacy bonus features from previous ABE releases. Available in a collectible limited-edition book-style package (available only for the first printing) with 20 pages featuring archival photos, an essay by Halloween historian Stef Hutchinson and specially commissioned cover art by Jay Shaw, SRP is $34.99 and pre-book is August 28. Halloween stars Jamie Lee Curtis (A Fish Called Wanda, True Lies) in her debut role. Anyone who’s ever watched a horror film in the last 35 years knows the story of Michael Myers, who as a child, butchered his sister with a kitchen knife. Committed to a mental institution and watched over by Dr. Loomis (Donald Pleasance, Halloween II, IV & V, Fantastic Voyage), he engineers his escape 15 years later, returning to his hometown of Haddonfield, Illinois on Halloween night to terrorize anyone who gets in his way, including babysitter Laurie Strode (Curtis). Co-starring P.J. Soles (Carrie, Stripes, Rock ‘n Roll High School), Kyle Richards (The Watcher in the Woods, Eaten Alive), Nancy Loomis (Carpenter’s Assault On Precinct 13, The Fog), Charles Cyphers (Escape From New York, The Fog) and Brian Andrews (The Great Santini, Three O’Clock High), Halloween also cemented the careers of many behind the camera including Carpenter, Cundey, producer Debra Hill and film editor/production designer Tommy Lee Wallace (Halloween III: Season of the Witch, “It”).